We heard that a new burger place opened in the Atrium of SM Megamall. 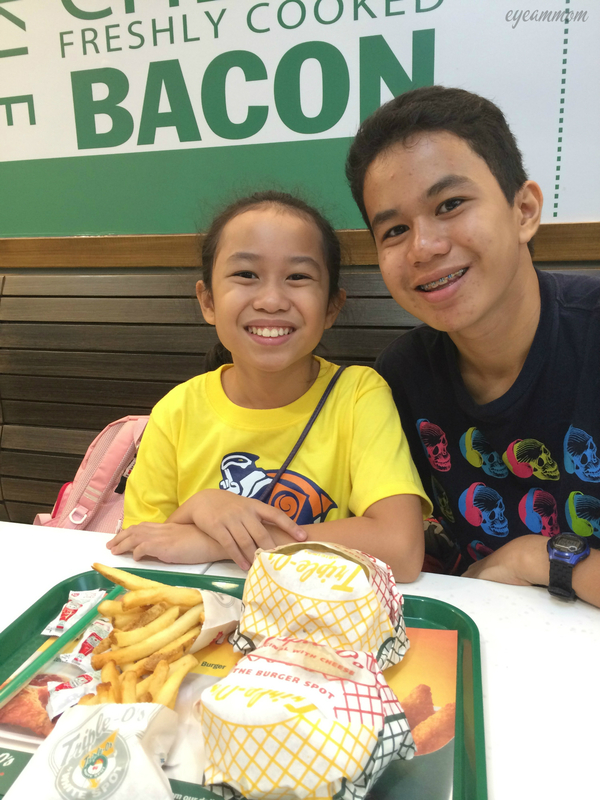 Triple Os opened their doors to Philippine burger-lovers in the latter part of June 2014. We went there for lunch today. I was surprised to find very few people in the store for a Saturday lunch. Many restaurants have queues on their first few months. At that point, we were just glad we didn’t have to wait long to give our orders. The kids had the Original Burger with Cheese and my husband and I ordered the Bacon Cheddar Burger. The sandwiches were delicious, but the burger patties were dry and bland. I liked the bacon and the thick-cut fries. I would have liked to try their chicken sandwich too, but I figured I would try their burger first. Prices are expensive, considering it is a fast-food joint. While the food tastes good, I feel it is not worth the hefty price tag. I may consider eating there again, but not often. This entry was posted in Food, Grateful Project, Life in the Metro and tagged burger, Food, Grateful Project, Megamall, Triple O's Megamall. Bookmark the permalink.